RECENTLY RENOVATED!!! 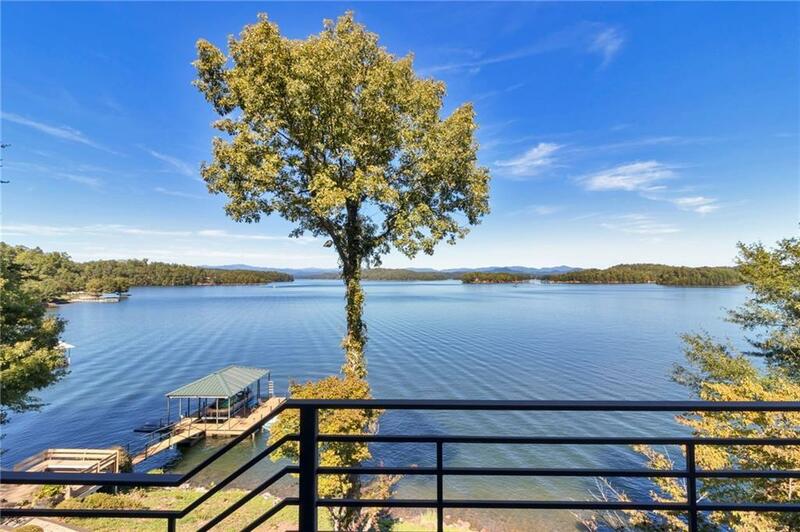 Spectacular long range views of Lake Keowee and the Blue Ridge Mountains from this elite home in a highly desired section of Keowee Key. Quite possibly, one of the top five locations on the entire lake!! Pictures do NOT do this property justice. It must be seen! Rare point lot provides ultimate lake front setting with 280 ft of shoreline, gorgeous outdoor living spaces including; 1100 square feet of completely redone decks, beautiful gardens with waterfalls that cascades to the waterâs edge and lake side pool with jacuzzi!! The home is designed and built to take full advantage of this unique lake front location with spectacular views from almost every room in the house. From accessing the home on the circular paver lined driveway all the way to the new covered dock with 4 corner lift, you are surrounded by lakefront living at its finest. As you enter the home, you are greeted by 180â of big water/mountain view with wall to ceiling windows as the backdrop. Grand foyer opens into the fireside spacious, updated living room with amazing views and beautiful natural lighting. The chef's appointed kitchen is perfect for entertaining with beautiful custom cabinetry, large center island, two pantries, Viking appliances, Bosch dishwasher and a Sub-Zero refrigerator plus a breakfast area that flows into the adjoining sunroom. An elevator is located in the kitchen allowing convenient access between the two levels of the home. The dining room is adjacent to the living room and highlighted with large windows that provide more spectacular views! Master Suite, also on the main level, comes complete with adjoining fireside library/office and a new stand alone spa-bath with a large walk-in closet. The lower level, with high ceilings and plenty of natural light, is perfect for entertaining with a large recreation room, billiards area, second kitchen equipped with a full bar, a gorgeous stone fireplace and massive windows with more exceptional views of the lake and mountains. Three guest suites each with private baths. Completing the lower level is a sauna that is glassed-in and overlooks the lake through a round, custom window. This home has been featured in various local publications such as Keowee Magazine and Keowee Life.